As we head into bulking season, customer re-buy numbers are in, the feedback has been reviewed, and the votes have been tallied. We are proud to bring you The Top 10 Bulking Supplements for 2019. 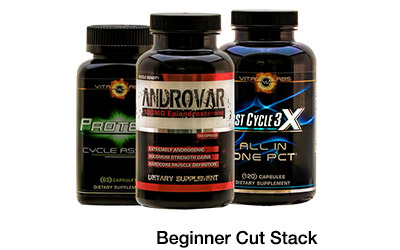 This year’s Top 10 Bulking Supplements echo the mantra, “ONLY THE STRONG SURVIVE”. The top guns have passed the test of time with flying colors and are well on their way to earning the right to be recognized as bodybuilding classics. 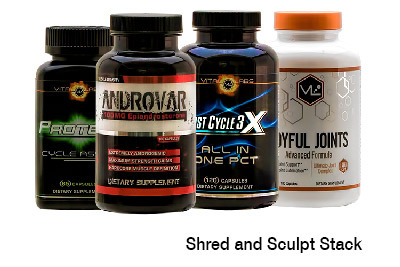 The Andros remain to most effective way to slab on muscle available to the mass market today. The Season Of Size has official begun and we are pleased to bring you this year’s strongest of the strongest. I give you now The Top 10 Bulking Supplements For 2019. You’ll notice a familiar cast among the top 3 on this list; in fact, they’ve dominated the Top 10 Bulking Supplements since 2015. Super Mandro and Andro the Giant continue to command positive feedback and the highest level of customer re-buys. 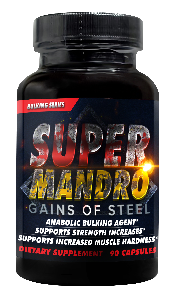 While Super Mandro was formulated based on a study showing 8.8lbs of muscle gain in 30 days, it’s become common for customers to tell us they’ve seen 10-15lbs in the same time frame. 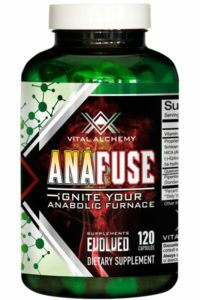 Anafuse continues to rise in popularity, holding its spots this year on both the Top 10 Bulking Supplements and Top 10 Natural Anabolics lists; an amazing feat for an all natural product. As for the rest of the pack, Blackstone Labs and Hi-Tech Pharmaceuticals continue to dominate the rest of the list. 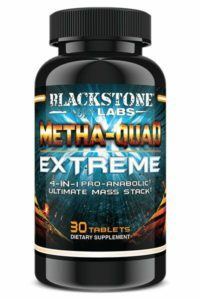 BSL’s Metha-Quad Extreme is another andro-based bulking agent that has made waves with its revolutionary 1-pill dose that users report noticeably increases muscle hardness and overall strength. 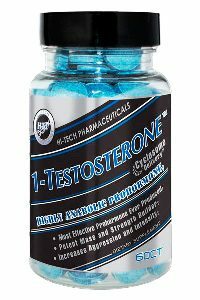 Hi Tech’s 1-Testosterone jumped to number 6, earning a nod for its formulation that runs similar to that of Super Mandro but with the Cyclosome delivery system, which is said to increase its bio-availability. Bulking season is here and for many its time to choose their muscle mass gainers. The strongest of the strong have earned their way to the Top 10 Bulking Supplements for 2019, bringing gains for those who are ready to take their muscle mass to a higher level. With so many options this year, putting on gains has never been easier. Ranked by repeat sales, customer reviews and our Pro Support Staff’s experience using the supplements plus guidance and discussions with customers we proudly announce the TOP 10 Bulking Supplements for 2019. Strong Supplement Shop is one of the largest suppliers of these products worldwide and this list represents the Industry’s Best in Class. Repeat Sales – So loved users buy them again & again voting with their wallets (the most powerful vote of all) – when a customer repeats a purchase of the same product it is a positive the product works. Many of the products on this list are purchased month after month by lots of customers. Our Pro Support Team’s own experience in discussions with customers who use them as well as their experience if they used the products themselves. For the 3rd consecutive year Super Mandro grabs the #1 spot and for good reason, customer’s have been getting results. The formula was initially studied at West Texas A&M University in which test subjects gained an average of 8.8 pounds of lean mass while dropping 4.4lbs of body fat over the course of 30 days, but we are now seeing user’s report 10, even 15 pounds rock hard muscle gained in a cycle. As if user feedback wasn’t enough, this product also boasts a tremendous value by providing up to 330% more product than competing supplements. Read All the Reviews Here. A true “wet” bulking agent as Andro the Giant’s main ingredient converts into the master hormone, Testosterone. 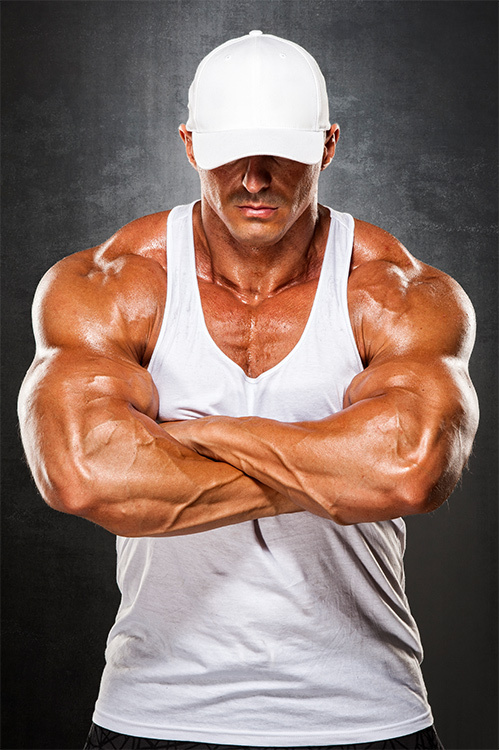 Users have reported rapid gains in mass, muscle density, strength, and libido. 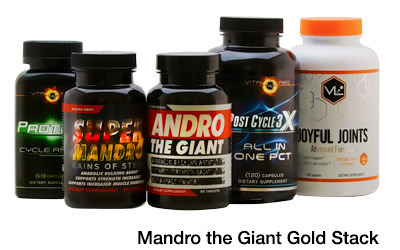 Similar to Super Mandro, Andro the Giant offers up to 330% more product than the competition. 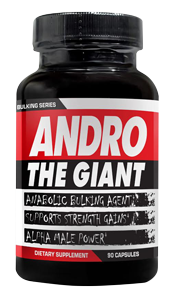 Great as a standalone bulking supplement, Andro the Giant also serves as the perfect base supplement to any anabolic cycle due to its ability to help combat side effects from other anabolic compounds. Read all the Reviews Here. As the only “natural” supplement to make the Top 10, Anafuse’s massive popularity and overwhelmingly positive feedback was something that could not be ignored. Anafuse combines 4 novel natural anabolics and users have been feeling its effects reporting increases in lean mass, muscle endurance, strength, and recovery. Anafuse is also the only supplement in the Top 10 that does not require any kind of cycle support or post cycle therapy, meaning virtually anyone can use it above the age of 18, male or female. Read all the Reviews Here. Metha-Quad Extreme is the new quad stack prohormone that makes bulking simple with a 1 pill a day regimen. Feedback suggests that it shines as a muscle hardener and strength gainer, with muscle gains being on the mild side. Read all the Reviews Here. 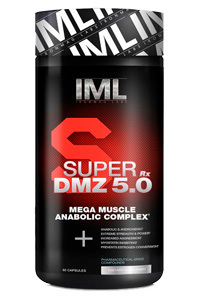 As the flagship product for IronMag Labs, the name “Super DMZ” comes with high prestige but also with high expectations. A 5 compound anabolic stack, featuring 3 “Super” Andro ingredients, Epicatechin, and DIM promoting increases in muscle mass, muscle hardness, and strength. Feedback has been positive thus far, the only downside being is advanced users will have to spend a pretty penny if they want to run a cycle utilizing multiple bottles of this supplement. Read all the Reviews Here. In a market full of under-dosed products 1-Testosterone steps up a delivers the solid efficacious dosing that users need in order to achieve noticeable lean mass gains. Hi-Tech Pharmaceuticals took the most anabolic compound available on the market today and upgraded it with the pharmaceutical cyclosome delivery system to enhance its absorption by the body. For a first timer to anabolics, 1-Testosterone is a product you can’t go wrong with. Read all the Reviews Here. 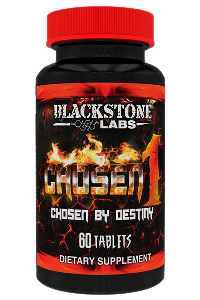 Chosen 1 is the flagship product for one of the biggest brands in the industry, Blackstone Labs. As the first supplement in the industry to utilize the liposomal delivery system, Chosen 1 took the industry by storm, but is now being outshined by superior products. Still a solid choice for users, but customer feedback has concluded that a few bottles of Chosen 1 is necessary to achieve optimal results. Read all the Reviews Here. 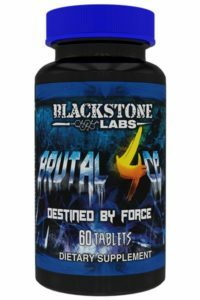 Brutal 4ce is the little brother to Chosen 1 and most users stack the two together as Brutal 4ce helps to provide “wet” muscle gains with enhancements in strength and libido making it ideal for those who want to bulk up fast and are not too concerned with sacrificing some muscle definition along the way. Read all the Reviews Here. A unique bulker that combines the pure bulking prohormone “4-Andro” and the lean bulking natural anabolic “Laxogenin.” The combination of the two has customers reporting slow but consistent gains with little to no side effects and a boost in libido. Read all the Reviews Here. 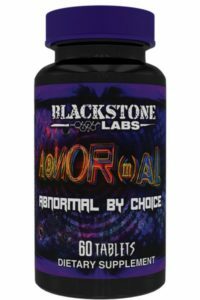 Quite possibly the only “Nor-Andro” prohormone on the market, this product is estimated to be 6x more anabolic than testosterone making it a powerful addition to any bulk but users have suggested that in order to get the best effects, this product should be stacked with a 1-Andro or 4-Andro product like Super Mandro or Andro the Giant. Read all the Reviews Here. Next PostTIME BOMB SALES ARE BACK!